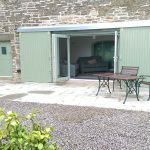 We offer self-catering stays in a traditional North Pennines stone barn which was converted in 2015 to create a high quality 2 bedroom self-catering holiday let. 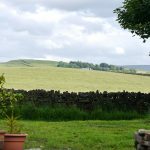 Up to 4 people (sorry, no pets allowed) can stay on our smallholding in the North Pennines with views over the surrounding farmland and enjoy the beautiful surroundings of the Allen Valleys. 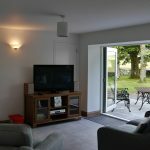 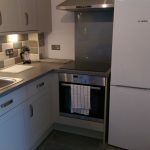 The peaceful, rural location is ideal for self-catering holidays with completely independent accommodation and has direct access to a number of footpaths or cycle routes. 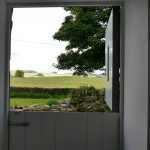 All while still being less than a mile from Allendale with a good selection of village shops, cafes and pubs. 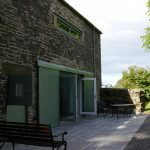 There are plenty of attractions within a short distance and for those willing to travel a little further afield, there is Hadrians Wall, the Lake District, Northumberland National Park, Newcastle or Carlisle city centres and the whole of the North Pennines AONB. 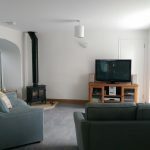 Being newly converted, the barn is fully insulated to modern standards, has full double glazing and underfloor heating throughout which comes from our biomass (wood pellet) boiler. 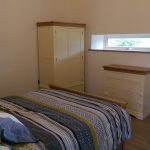 Upstairs the main bedroom includes a king size bed with an en-suite shower room while the second bedroom has twin single beds which can be setup as a super-king bed if required. 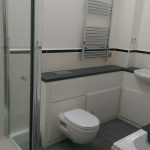 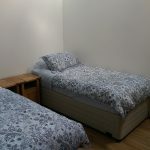 There is also a fully equipped family bathroom with a bath as well as separate shower cubicle.